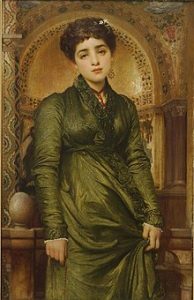 This article is a short biography of well-known painter of Victorian times- Frederick Leighton. He specialised in Greek art. Extensive travel across Europe aided understanding in the diversity of painting subjects. 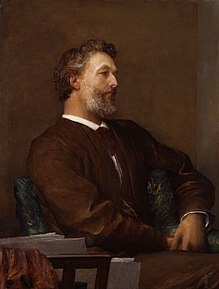 Lord Frederic Leighton was born on 3rd December 1830. He was born in Scarborough, New Yorkshire. His works belonged to Victorian Classical School of Painting depicting historical, biblical, and classical subject matter. His ancestors were into the occupation related to medicine. Leighton’s father was a doctor was the grandfather was the court physician under Czar Alexander I of Russia. Eventually, after fall of the Russian empire, the family extensively traveled throughout Europe. Traveling to places like Brussels, Paris, Frankfurt etc must have enhanced artistic inclinations of Leighton. He obtained art education at University College School, London. He also acquired legal education on the European continent. In 1852, Leighton moved to Rome where he came in contact with finest French painters of the time. Some of them being Thackeray, Robert Browning. His painting of 1855 titled ‘Cimabue Madonna carried in procession through the streets of Florence’ was shown at Royal Academy. It received euphoric reception from critics and later was bought by Queen Victoria. This was the marker of glorious times lying ahead with regards to paintings of Leighton. By 1860, he was living in London.working with Pre-Raphaelite painters, Leighton fashioned the tomb of Elizabeth Barrett Browning for Robert Browning in English Cemetery, Florence. At this time, subject of paintings was mythology rather than history. This was at par with increasing popularity of Hellenism, Greek clothing styles for women and ideas pertaining to freedom of women reflected therein. Around 1861, Leighton was working as an associate of Royal Academy and by 1878 he had become the President of that institution. Leighton was the only English artist to receive the honour of Baron on 24 January 1896. Paris Exhibition in Britain in 1900 represented his paintings. He was very famous in his times. Leighton suffered from angina and passed away on 25th January 1896. He was buried in St. Paul’s Cathedral and quickly forgotten. His home in London is now a museum showcasing some of finest works of the period. It also includes works of other artists namely John William Waterhouse’s ‘Mariana in South’ and Sir Frank Dicksee’s ‘The End of Quest’.